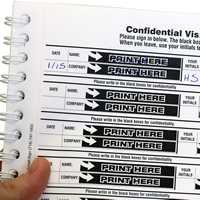 Protect visitor privacy and still keep track of everyone who comes and goes. 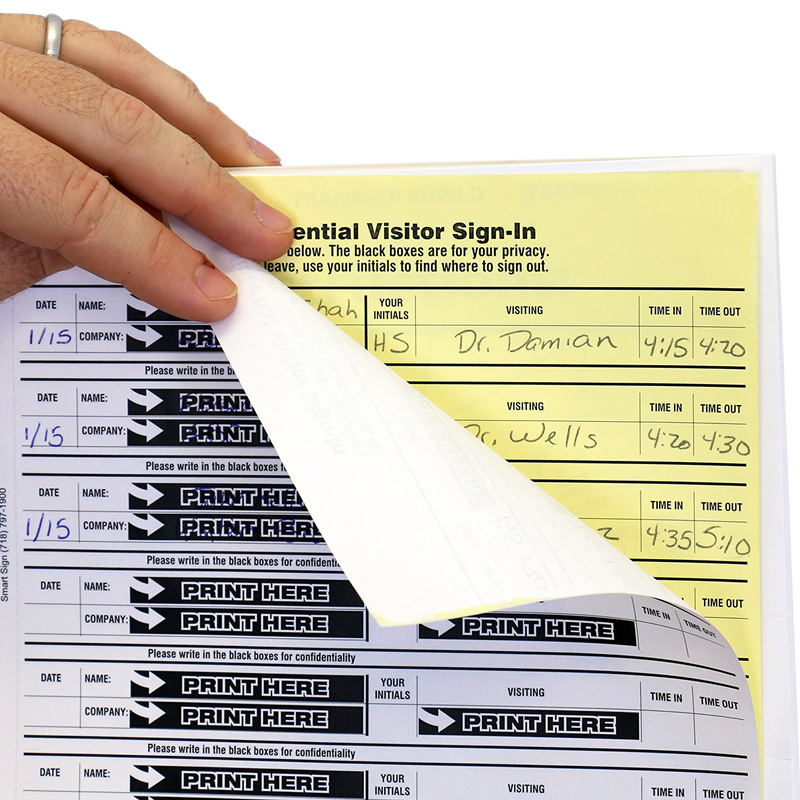 Visitors write their names on the top page and their information is duplicated on the yellow sheet. • Great for schools, hospitals, or private businesses. 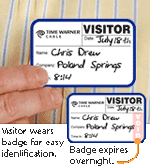 • And, use some visitor labels to protect your students and keep track of visitors in your halls. 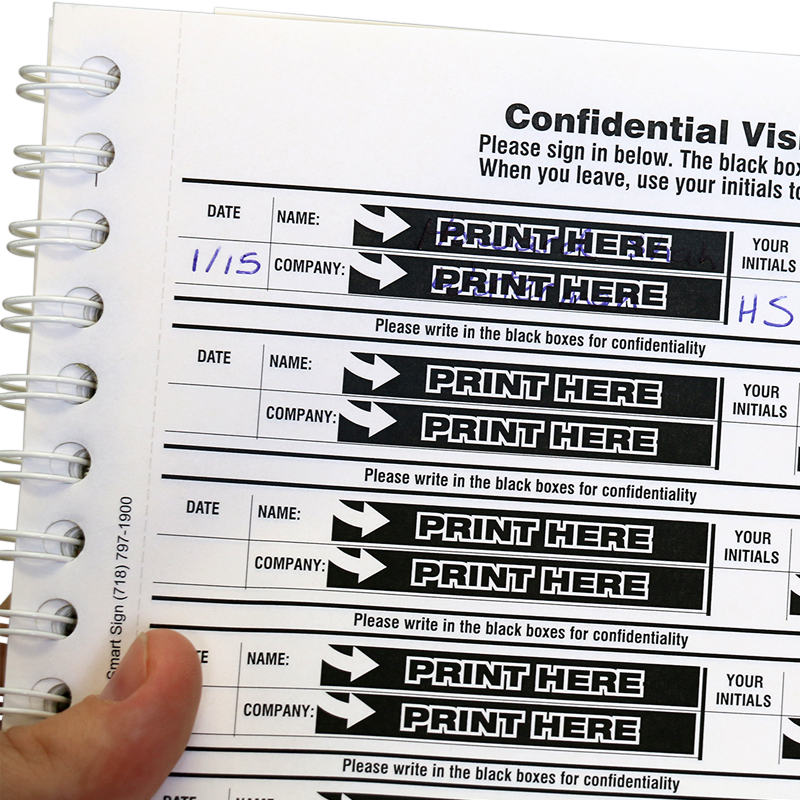 • Visitor log book is wire-o bound for easy record keeping. • Book is equipped with 2-part forms that create a security log, a great feature for tracking your visitors while not exposing their name, company or reason for visit. 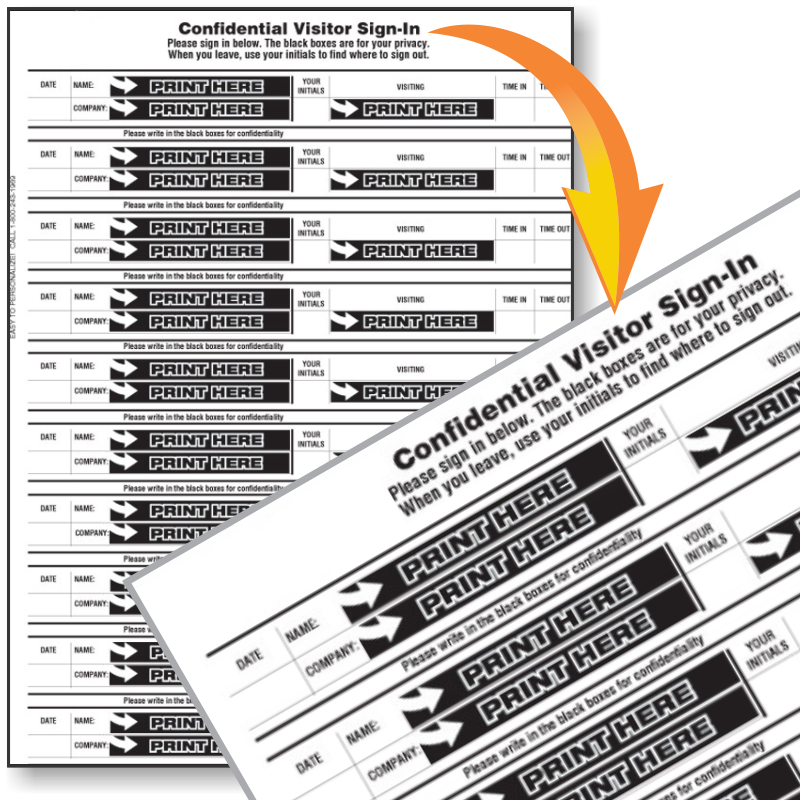 • The 2-part forms allow the visitor to write down their name without anyone seeing. The name is instantly transferred onto the hidden underlining yellow sheet preventing anyone from snooping in on information they shouldn't see. 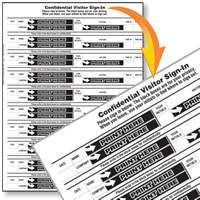 • Visitors sign in and initial the space where they signed in. 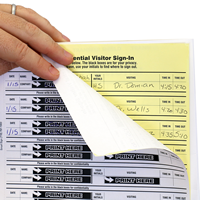 When they're ready to leave the visitor can find their intials to sign out. Keeps names and info confidential to casual viewers but can still be seen when needed, love 'em!